Imam Ali b. Musa al-Ridha (a.s) is the eighth Shi‘a Imam. 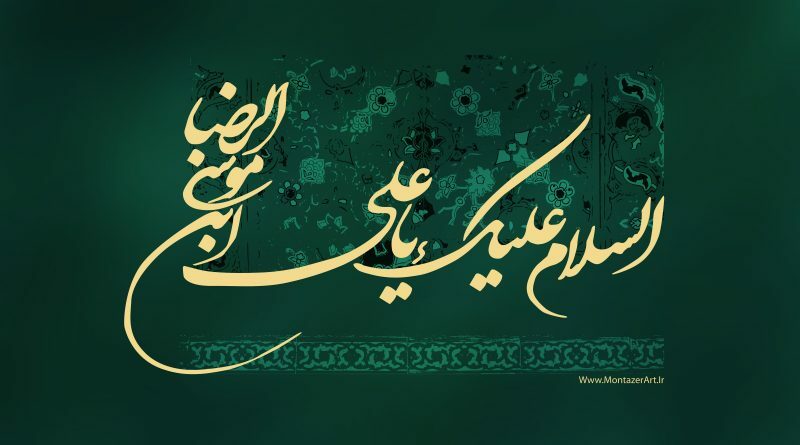 His father was Imam Musa b. Ja‘far al-Kadhim (a.s) and his mother was known by various names including Tuktam, and Najma. Imam Ali b. Musa al-Ridha (a.s) was born in Madinah in 148/765. The Imamate of Imam Ali b. Musa al-Ridha was made clear in various statements by his father Imam Musa al-Kadhim (a.s) to his close companions. The Abbasid ruler al-Ma’mun appointed Imam Ali b. Musa al-Ridha (a.s) as the heir to the throne in order to please various forces that wanted to overthrow him. However, he never intended to pass the rule over to al-Rida and only wanted to use him for a limited amount of time. Imam Ali b. Musa al-Ridha (a.s) knew what al-Ma’mun was planning and refused to be a part of his plot, but he was forced to accept the position of heir to the throne after being threatened with death if he declined. Imam Ali b. Musa al-Ridha (a.s) was taken from his hometown of Madinah to Khurasan, where al-Ma’mun was based. Some of his followers disagreed with the Imam’s acceptance of the position and asked him why he had accepted, to which he answered that he had no choice. After al-Ma’mun had achieved his political goals, he decided to kill Imam Ali b. Musa al-Ridha (a.s) by feeding him poisoned grapes, which resulted in his death.